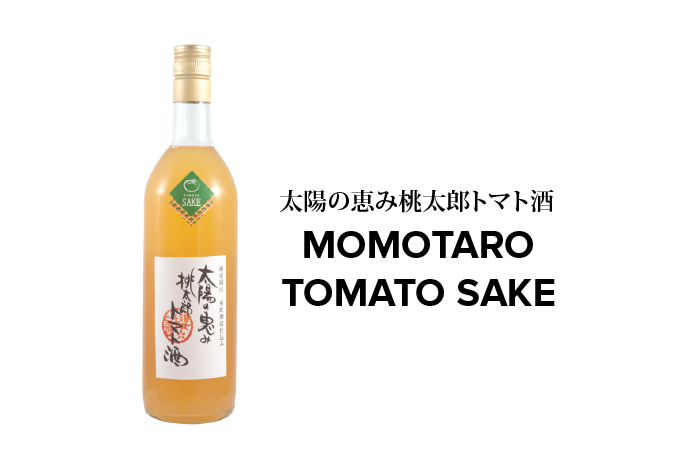 Momotaro tomato is a popular Japanese bred tomato variety that is known for its intensely rich, sweet flavor with right amount of tang. Blended such succulent tomato, grown and harvested from Okayama, with Junmai Sake made from Omachi Rice to produce this beautiful sun-kissed orange sake filled with raw tomato pulp. Enjoy it similarly like Bloody Mary accompanying with some vegetable sticks or simply as chilled or on the rocks. Brewery: Muromachi Shuzo Co., Ltd.